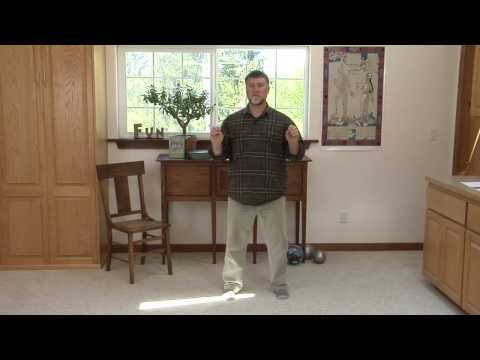 Below is the third of Five Videos on Reducing Depression with the “Old Man” Qigong Set. Opening the heart area can release stuck and stagnant emotions such as impatience, frustration, criticalness, anxiety, cold-heartedness, and armoring against feeling. All of these emotions get in the way of healing; as well as living a full, vibrant, friendly life. The Heart healing sound used in the “Old Man” exercise is a sighing, descending “Haaa.” The hands are held in a partly open palm shape called a Sparrow Fist. The hands descend from head level down to the lower chest as you make the chest-vibrating “Haaa” sound. It is also important to slowly, slightly lower the head with the movements here, bringing your gaze somewhat downward. This helps lower excess rising Qi.